On Wednesday Steven Solomon, a law professor, published a column in the NYT on why, despite the claims of certain hysterical alarmists, things really are actually pretty good these days for law grads. He cites stats for Georgetown’s 2013 graduating class, showing that 93.2% of the class is “employed” and that something something something $160,000 median salary something. *Counting school-funded jobs without comment. Georgetown paid for jobs for 83 of its 2013 graduates — that’s 13% of the class. More than 75% received a stipend of just $1,000 per month, earnings that put them barely above the poverty line in 2014 ($11,670 for an individual). Solomon appears to believe that “things are returning to the years before the financial crisis” when 1 in 8 graduates at this top law school are so desperate that they’re willing to accept poverty wages. *Including part-time, short-term, and non-professional jobs in an overall percentage of “employed” graduates — again, without disclosing that fact. Once we exclude those jobs, along with the school-funded ones, Georgetown’s employment rate falls to 79%. Not to mention that Georgetown is an elite law school, which means that citing the employment stats of its grads for the proposition that law school reformers are exaggerating the difficulties facing new graduates is more than a bit disingenuous. What’s even more disingenuous — and kinda pathetic and sad — is that Solomon mentions that employment stats are even better at UC-Berkeley, where he’s on the faculty, and which is higher ranked than Georgetown. He mentions this, he says, in the spirit of “full disclosure,” which will allow readers to take into account that his perspective might be shaded by the fact that he’s on the faculty at a top ten law school. So perhaps he doesn’t have the clearest perspective on what happens to graduates of less exalted law schools, being that he’s on the faculty at UC-Berkeley, which is a top ten law school, where he’s on the faculty. Solomon actually got to Berkeley seven minutes ago. He spent the first decade of his legal academic career climbing a very steep ladder, going from Wayne State, to UCONN, and then to Ohio State. His rather extended residence in these declasse neighborhoods is not mentioned on his new faculty webpage, although his much more distant employment with Wall Street and Magic Circle firms is. Consider Wayne State’s most recent graduating class stats, which look a bit different than Georgetown’s and Berkeley’s. Less than half the class got any legal job at all, while nearly a third of the class was either unemployed, working in part-time and/or temp jobs, or doing barista-type work. One (1) graduate got a job in Big Law (500+ lawyer firm) — the only employment outcome that pays a salary even vaguely commensurate with the average law graduate’s educational debt. WHEN I read of the goings-on in the House of Commons the week before last, I could not help being reminded of a little incident that I witnessed twenty years ago and more. It was at a village cricket match. The captain of one side was the local squire who, besides being exceedingly rich, was a vain, childish man to whom the winning of this match seemed extremely important. Those playing on his side were all or nearly all his own tenants. 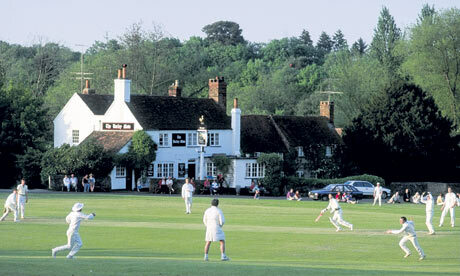 The squire’s side were batting, and he himself was out and was sitting in the pavilion. One of the batsmen accidentally hit his own wicket at about the same moment as the ball entered the wicketkeeper’s hands. ‘That’s not out,’ said the squire promptly, and went on talking to the person beside him. The umpire, however, gave a verdict of ‘out’, and the batsman was half-way back to the pavilion before the squire realized what was happening. Suddenly he caught sight of the returning batsman, and his face turned several shades redder. The batsman had halted. The umpire hesitated, then recalled the batsman to the wicket and the game went on. I was only a boy at the time, and this incident seemed to me about the most shocking thing I had ever seen. Now, so much do we coarsen with the passage of time, my reaction would merely be to inquire whether the umpire was the squire’s tenant as well. FYI it looks like you refer to the professor as “Davidoff” once and as “Solomon” the rest of the time–it looks like he’s named both those things but it was confusing to read. The moral, of course, is that the other side should have been more careful during the discussion on the selection of umpire. Tell us about the time you shot an elephant. How it got in his pajamas he’ll never know. Let’s say the law school crisis started in the Fall 2008 semester. I am using this because this when the recession was really bad and when several law firms in the Bay Area fell and 3Ls were first told of rescinded or deferred offers. This means we are seven years into the Law School/Law Firm crisis and it does not seem to be getting better. It might or might not be getting worse (I can’t tell!). Has there been any other industry that went under such a prolonged downturn? When did the bottom hit and how long did it take things to turn around? The financial crisis and the law school crisis occurred at the same time for both related and unrelated reasons. Mostly though, the financial crisis exposed issues in the legal profession that were corrected or changed, permanently, such that there will be no turnaround. A few things happened- firms did more with less and found they were ok. Did we go out of business because we didn’t hire enough associates? No, so why hire more? Large clients stopped paying for work done by the most junior associates. There’s no reason for those clients to ever pay for that work again. The death of regional and mid-sized firms, and the bi-modal salary distribution that goes along with that death continues unabated. I think this depends on the type of law. This is probably true (or largely true) for corporate-transactional firms. I was never interested in working at a big law firm and I don’t just mean 500 plus. 100 lawyers is too much for me. I like smaller environments and always wanted to be a plaintiff’s lawyer. Plaintiff’s law, Immigration, Crim Defense, Wills and Trusts, and Family law are still going to have small and mid-size firms and regional ones. But I do agree that starting your own solo practice is exceptionally harder now but this was true well before 2008. I know some older solos who started on their own, largely in thr 1970s and 80s. They said back then it was possible to make a decent career at first just doing small car crash cases but those have been taken out of court and upfront costs are much higher now because of changes in the litigation system and mandatory mediation. As far as I know, firms that concentrate mostly on the areas that you describe above (plaintiff (I assume you mean pi and med mal, immigration, crim defense, wills and trusts and family law) are not practiced by what I would call mid-sized firms with a regional presence. That stuff is done by small local firms. Moreover, the firms are collections of partners who have relationships with clients and the clients end up at the firm based on the relationship with individual partners, not because the firm is any kind of regional player with a reputation that attracts clients to the firm itself. I did once work at a 30 lawyer firm that had a large trusts and estates practice and that practice also involved getting involved with more of the clients personal affairs- real estate purchases and family law, incidental to handling their affairs. Still, that firm also had traditional corporate and litigation practices oriented towards representing businesses. And finally, yes, there are some lawyers who can make good money doing the practice areas you described, but the associates who are paid to assist (and learn from) those lawyers are usually extremely poorly paid. By poorly paid I mean unable to service a typical debt-load. There’s also the way technology is chewing up the legal profession, especially with things like discovery. Scanners + OCR + indexing software + email archives files = the elimination of zillions of formerly lucrative billable hours spent hand-sorting boxes of old files. This is also true but there are lots of small firms that haven’t invested in this technology yet. I know because they give me work. I don’t know if this is because they lack the money or the expertise though. Maybe both. I think that this is less true than conventional wisdom says. Email collection and review and similar e-discovery has exploded the number of documents involved in a major litigation. Doc review may eventually be significantly reduced by predictive coding and the like (though that’s mostly at the ‘doc-reviewer’ level rather than the associate level) but I don’t know that we’re there yet. And associates are always going to have to eyeball potentially privileged documents and interesting documents, until we get much more advanced AI than we have now. Why did it happen and who was to blame? Well, the buggy whip industry, which still hasn’t turned around after what, 70+ years? It might or might not be getting worse (I can’t tell!). From the inside of BigLaw, I’ve personally seen some non-hiring-related indicators that things are getting better at my firm. I graduated in 2012, and then spent much of my first year in BigLaw twiddling my thumbs (and doing pro bono work) because there wasn’t much billable work filtering down to me. Many other attorneys were similarly underutilized. Two years later, and now I can’t find any attorney at the firm who’s not effectively at 100% utilization. This guy sounds like a real scumbag. It’s more likely he’s just extremely out-of-touch, hasn’t really studied the issue, and sees this as a fun little debate where he gets to take the “contrarian” position in defense of his own profession and get an editorial in the NYT to boot, rather than something that will affect the financial futures of real live people. IME, most elite law school professors are almost totally insulated from what’s going on with the job prospects of their own students, never mind students at lower ranked schools. I’m more pissed that the NYT didn’t do this as a point-counterpoint type series given that they know how much law school defenders like to write these articles like legal briefs (they freaking ran stories on this back in 2010/11). Kyle just took the article apart line-by-line, would have been nice to see that in there as well.